contain a distinct fragrance that distinguishes it from the other spices. Here is a recipe using elaichis. Click here... This is a very good dessert. Wonderful use of negative space. I am really enjoying your photo's. They are all striking and I am enjoying the opportunity to experience a bit of your culture as well. That's a nice image & I love spice fragrances. Really nice high key photo, I like the composition on this too. Very well done. A wonderful spice! Fantastic DOF! I like the white background. Well done. 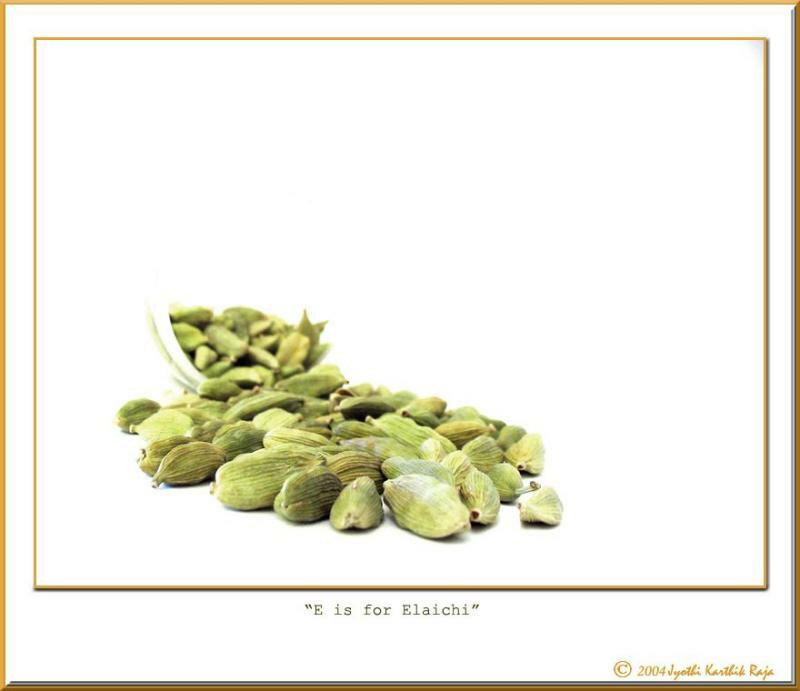 Very well done still on this spice.. (they look kind of like pistachios).. Very nice, cardamom is my favorite flavor tea and coffe. Very creative! Excellent shot! Like it very much! Mmmmmm... Cardamom... my favorite. Great high key photo. And I never knew they went by a different name.